It’s ok to disappoint your kids, even at Christmas. Here we are, another Christmas morning is fast approaching and there are; no doubt many people thinking about wrapping up puppies in baskets adorned with big bows. All in hopes of seeing giant smiles on the faces of those who have been begging for a pet for months. Weeks later, when the dog has outgrown its puppy face, the kids who begged for a pet have lost interest, shoes have been chewed and winter potty training has become an exercise in frustration, many Christmas puppies will wind up laying on the cold kennel floor of a shelter. With any luck, it won’t be high kill shelter. The only saving grace is, in general people prefer younger dogs so the chances of them being adopted before the 7-day hold is up are better. “Luck” for a shelter pup, is a relative term. Some will get adopted, some will be pulled by a rescue, but many will be euthanized. I don’t like that reality. Not one bit. I also know that for the sake of every animal euthanized daily, there is no value in sugarcoating what happens. Some pet parents will follow through, fully accepting their new responsibility and make it through the puppy stage with many funny stories to tell. Sadly, many won’t. 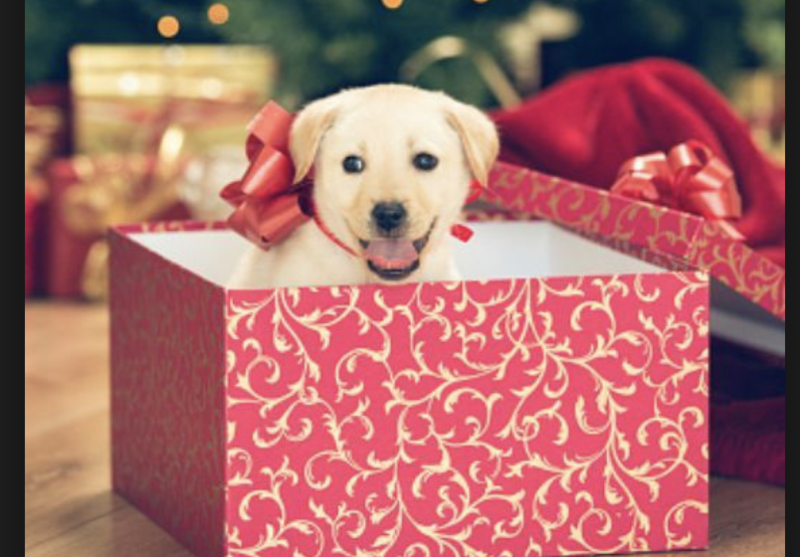 While the romance and allure of seeing a puppy in a bow under the tree is captivating, it’s so important to stress that while puppies are adorable, they require a great deal of attention and commitment. It’s quite frankly why my husband and I didn’t adopt a puppy. I had one puppy in my adult life and my husband grew up with cats. I knew it wasn’t going to be a good fit for our lifestyle, so we opted to adopt Charlie. He was about 4 years old when we brought him home. As a Martial Arts School owner, I work with about 160 children under the age of 12. Believe me when I tell you, I’ve seen my fair share of disappointed kids. I’ve also had more conversations with parents about “not wanting to see their kids disappointed” than I could ever write about. I can also empathize with a parent who doesn’t want to see their child disappointed on Christmas, of all days. My advice to parents regarding their kids’ disappointment is always the same. Talk to your kids! In this case, talk to your kids BEFORE Christmas. It’s so simple, yet many won’t do it. I know, I know. Parents don’t want to deal with their kids crying for three weeks because they aren’t getting a puppy. I promise you, avoiding the subject and making a potentially bad decision won’t end well in the long term. If you’re considering a pet but Christmas is a bad time, sit with your kids and explain to them that the timing won’t allow you as a family to take good care of a pet. Maybe you are traveling between Christmas and New Years, maybe you have family visiting or maybe you’re changing jobs and don’t know how your workday will shape up. Whatever the case, kids are nurturing by nature and won’t like the idea of a pet not being properly cared for and loved. I would add though, talk with your kids about when you may be able to introduce a pet into your home. It will give them something to look forward to and it will greatly reduce the risk of severe upset Christmas morning. 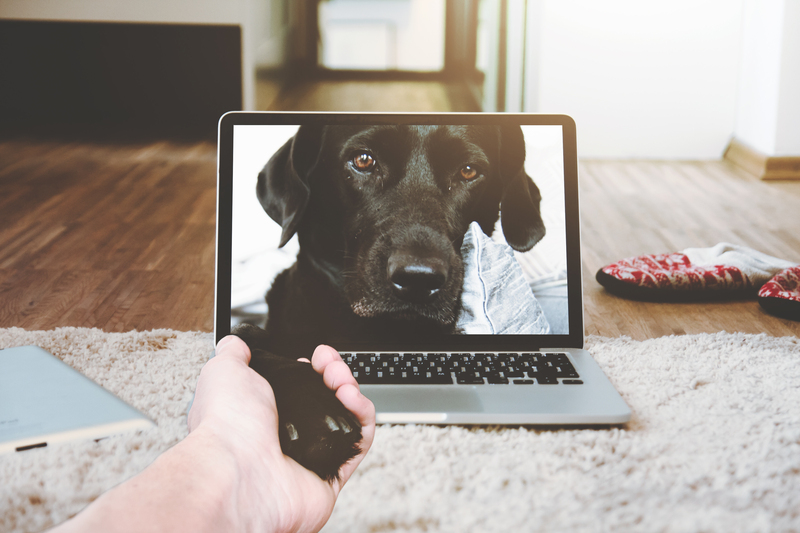 If you aren’t sure that a pet will be a good fit for your family, there are a couple of things you can do to help answer that question before moving forward. Call a local shelter and ask to volunteer. If your family can’t commit 2-3 hours per week to care for an animal or if you can’t get past the idea of cleaning up dog poop, then bringing a pet (especially a puppy) into your home is probably not a good idea. Feeling a little more brave? Apply to foster. “I have plenty of foster homes.” Said NO Rescue EVER. Fostering saves lives. By fostering a animal, you are taking them out of the shelter environment which reduces the risk of kennel stress and increases the chance of that animal being adopted. If the shelter happens to be a high kill shelter, you are truly saving a life. It will also give your family the opportunity to care for a animal for a shorter period of time until the rescue finds a permenant home. 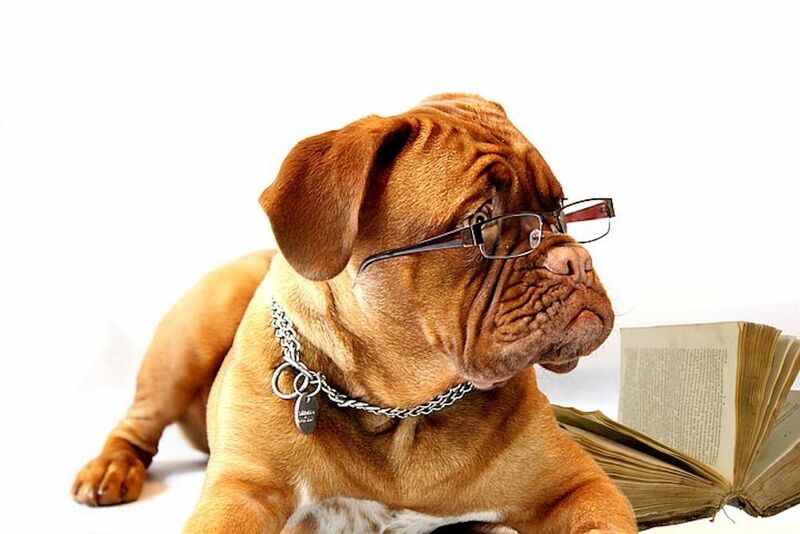 The worst case scenario is, you realize that your family is not ready for a dog full time. The best case scenario is, your family adopts a new family member. There are many stories of foster failure out there and they all start with “This dog was only going to stay for a few weeks”. The holidays more than any other time of year, seem to trigger the need to go above and beyond to avoid disappointment. When it comes to pets, temporary disappointment is better than the pain of having to rehome a dog or worse, bring them to a shelter. Hold off, you’ll be glad you did. When you’re ready, Adopt Don’t Shop. Saving More Dogs. One Shelter. One Rescue. One Dog At A Time.